Climb hills, pedal to the beat, and go for a race with your fellow classmates—spin classes are the kind of workout you don’t dread. Not only will you enjoy a fabulous cardio workout, but you’ll also build muscle and endurance while doing so. 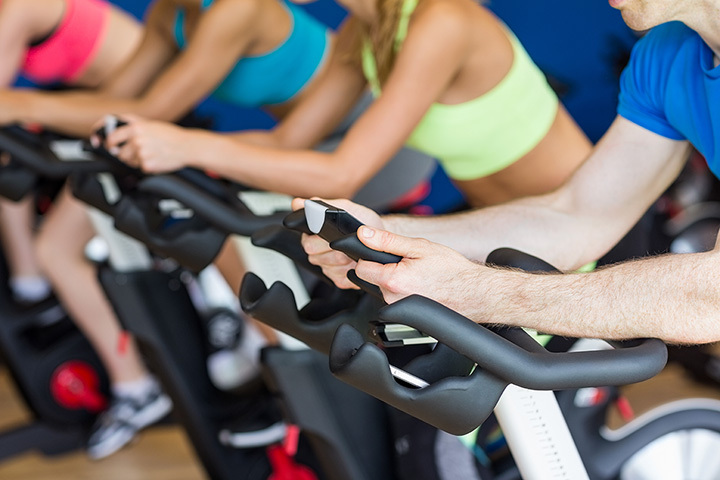 Here are a few of the very best spin classes in New Hampshire. Mission Portsmouth is the place to go if you want to work really, really hard during your spin class. Definitely not for the faint of heart (physically or emotionally! ), the trainers will take you to your limit before letting you back off, but your body will thank you in the end. Underground Cycling tailors each workout to the individual client. You’ll wear a Bluetooth transmitter while during each spin class so your heart rate is constantly monitored. The computerized bikes used are the best around. Voted the best cycling studio on 2017, Cycle Fierce celebrates each cyclist at their current level, while encouraging them to improve their cardiovascular systems with each ride. Motivating all class members to achieve their best, they laud the physical and mental release each experiences at the end of every class. Spin classes are a complete body workout at FortCycle. Those who’ve heard about Soul Cycle are encouraged to check out what they offer here, as many claim it’s the next best thing. The spin classes at Elevate Health Studio don’t just build healthier bodies, they build a sense of community, too. That community goes on to encourage one another to achieve all they can. The result is better health of both the body and mind. Trilogy Fitness is considered a hidden gem when it comes to spin classes. The instructors work hard to challenge clients at each level to attain their goals, while maintaining a safe, healthy environment. Featuring new Kaiser cycles, the spin class coaches at the Workout Club work with each client to achieve their fitness goals. Take a group class or work with a personal trainer. Downtown Fitness for Women offers spin classes set to motivating music. The instructors are inspiring and meet the needs of those of all fitness levels. Cranmore Fitness offers spin classes that are both fun and challenging. The instructors are trained to work with clients of all levels and they encourage a non-competitive environment. Become healthier, stronger, and leaner with spin classes at the Fitness Cube. Coaches guide you through their cardio manipulation techniques for endurance and strength.